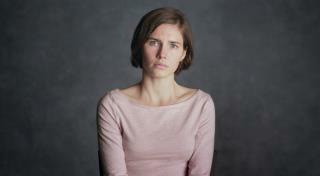 (Newser) – Nobody could blame Amanda Knox if she decided never to return to Italy: After going to Perugia as an exchange student in 2007, her roommate was gruesomely killed and she spent the next eight years fighting murder charges. But Knox, who spent nearly four years in Italian prisons, says she has decided to "face her fears" and visit the country again, KOMO reports. Knox, now 31, returned to hometown Seattle after she was exonerated of the murder of Meredith Kercher in 2015 and hasn't been back to Italy since. On Saturday, she told the True Crime festival in New York City that she has been "healing" and she believes going back to Italy at some point will help the process. Folks, if you have not figured it out by now, then you are insane. Amanda is as innocent as Jody, Casey, OJ and others. She’s the firebug that keeps appearing at arson fires.